4-4 draw. Stourport arrived with only 10 players but seemingly quite a few as 'young' veterans. So we played 10 v 11 and good job as the younger veterans were full of pace but Warwick's mature skills came to the fore particularly in the first half with goals for Daffyd (guest & 2 goals), captain Claudio Cardellino and a brilliant counter attack finished by Lucas van der Schalk. Stourport's pressure eventually told in the second half and a draw was a fair result. Fourpenny Shop teas and ales rounded off a good night out. Andy reports "With six 1st team regulars unavailable warwick gave debuts to 3 new players this week. Warwick dominated the game from start to finish and were unlucky to only come away with a 2-2 draw. Both opposition goals came from huge slices of misfortune, where our goals were both bottom-corner rockets. We also hit the post twice and forced a series of fine saves from the opposition keeper". Seb writes in "1s lose 2-0 to Sutton Coldfield, a distinctly average performance, not much to say other than we'll be fighting hard for 3 points next weekend". A terrific first win of the season for our Ladies 1s, 2-0 to round off the first half of the season before the Christmas break. Balfs sends in "Warwick 2s suffer a disappointing 6-4 defeat against Stratford, having lots of opportunities but too many mistakes were made. Looking to redeem ourselves at Worcester next week." Proud Ange reports "Awesome 1 - 1 draw for ladies 2 s. Brilliant performance against top of the table". Happy Langers reports "A brilliant 2-1 win away at top of the table Warwick Uni. Warwick's disciplined compressed game strategy worked to stifle the fast paced University players who barely threatened to score while having most of the possession. 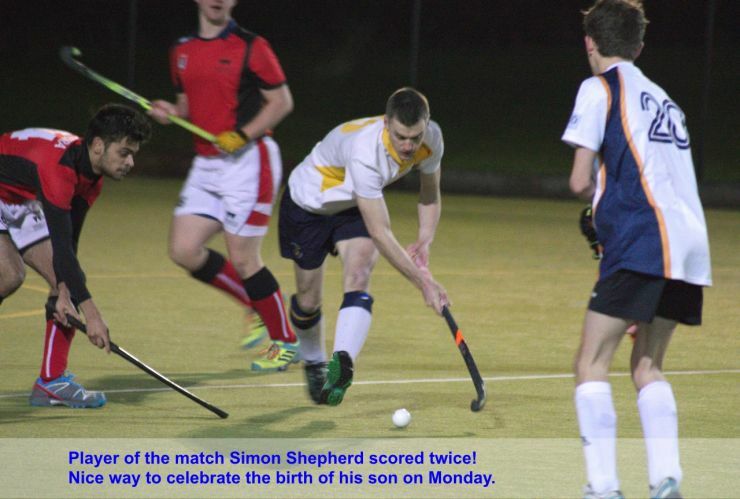 Warwick's Simon Shepherd celebrated the arrival of his new son Beau with two excellent goals to set up the victory". Check out photos of our Men's 3s game in our Gallery. 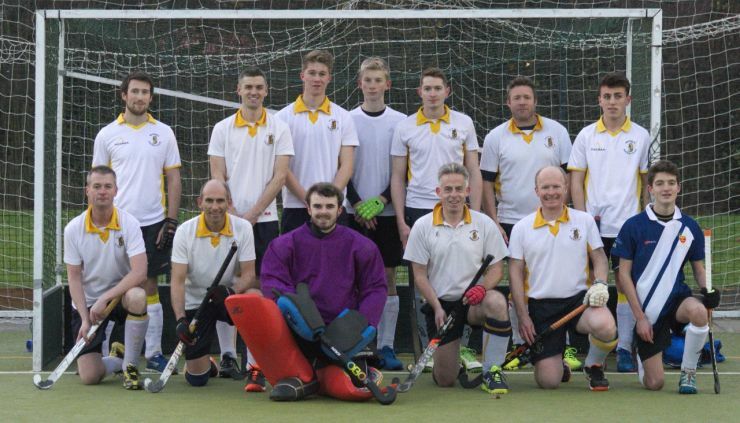 A disappointed Nick writes "4s hit self destruct going from 2-0 up to losing 4-2 at home to Olton." Steve Chidlow sends in "Ladies 4ths dominated much of the match and fought tirelessly to cancel out a first-half conceded goal. With Andy roaring his side on to press home their excellent midfield passing, Nuneaton broke away late in the game to score from a short-corner. Warwick had far more shots than the opposition, but failed through encountering a good keeper". Claudio exclaims "Match report Warwick 5ths 1 Coalville 4ths 4... AARRRRGGGHH .. The scoreline suggests it was one sided but Warwick had loads of possession but lack the guile in front of goal, Hit 4 times on the break in a match that saw Claudio Cardellino running around in Centre Midfield until the calf decided otherwise . Man of the match Adam Shepherd".